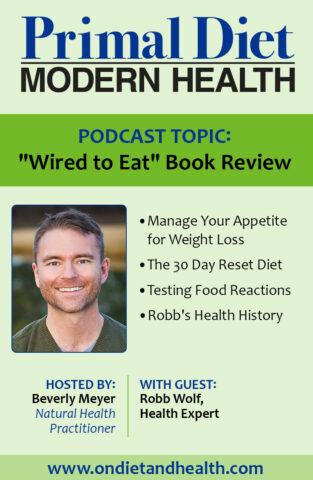 Here’s a fun Wired to Eat book review with Robb Wolf and his interview with Beverly Meyer. 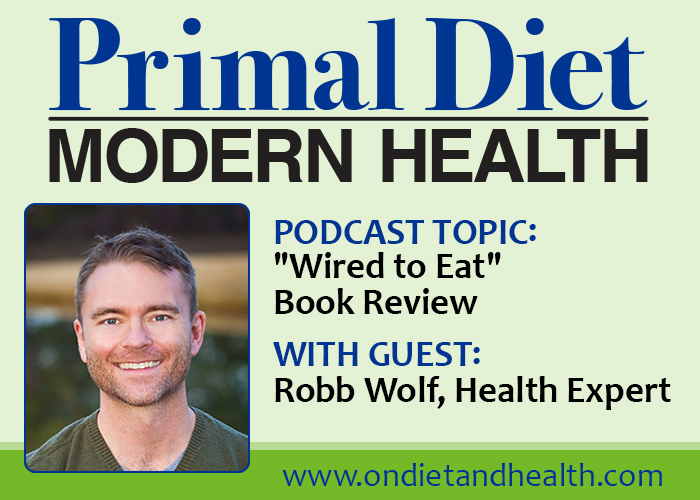 It’s a Primal Diet – Modern Health podcast chat with all the scoop on Robb and his second book. Robb talks about his health history and his time as a Vegan struggling with Ulcerative Colitis. 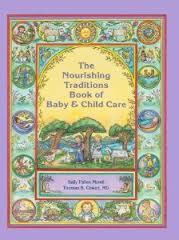 Then his breakthrough by observing how his Mom reacted to Grains, Legumes and Dairy. 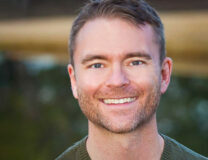 This led to his first book “The Paleo Solution” in 2010 and a huge change in his own health. In the past, our survival may have depended on eating whatever we could get, whenever we could get it. Our brains don’t regulate appetite very well until we hit satiety. If we understand satiety better, we can regulate food better. This book is oriented around weight loss, with a 30 Day Reset to start, followed by Phase Two – testing your glucose after specific carbs. Robb records his glucose after eating 50 grams of carbs from a selected food. He tries a variety of higher carb foods such as potato, beans, corn, mango, etc. explaining that foods can act differently in different people – it’s a genetic thing he feels. 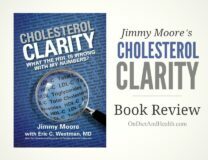 There’s meal plans, recipes, info on Ketosis if you’re needing more weight loss, and a helpful list of how to pick a protein, fat and a vegetable to make fast simple meals. We talk about how our taste buds and brain crave trigger foods, including modern foods designed to be “hyperpalatable” to trick us into eating beyond satiety. It’s always fun to talk with Robb, and as I note at the start of our chat, he writes with a loose and witty style. 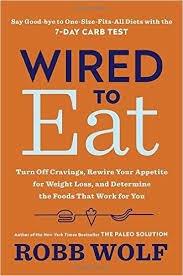 The subtitle of “Wired To Eat” sums it up: “Turn off food cravings, rewire your appetite for weight loss, and determine the foods that work for you”. I hoped for more depth on why different foods provoke different reactions in people. And a deeper look at the genetics of food sensitivity and digestion. But if you’re looking for a weight loss book this will help you. Order Robb Wolf’s new book here.